Home News Entertainment-News Have Zimbabwean “Celebrities” Mastered The Power of Social Media? We are only just getting through the second month of 2017, but we've already been through a tornado of weirdness. 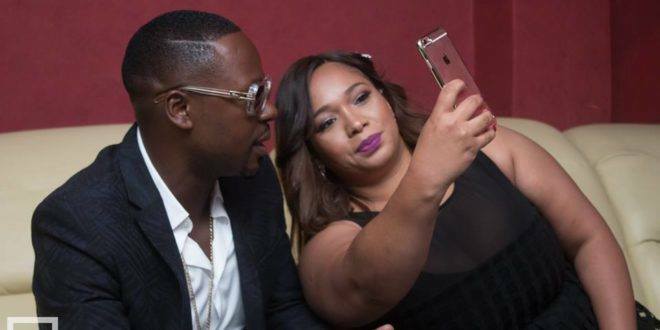 From the hilarious chef Nusref Gokce's finishing pose (making him Salt Bae) to the awkward Olinda- Stunner drama playing out on social media, to Bev,rants about Andy Muridzo. We are only just getting through the second month of 2017, but we’ve already been through a tornado of weirdness. 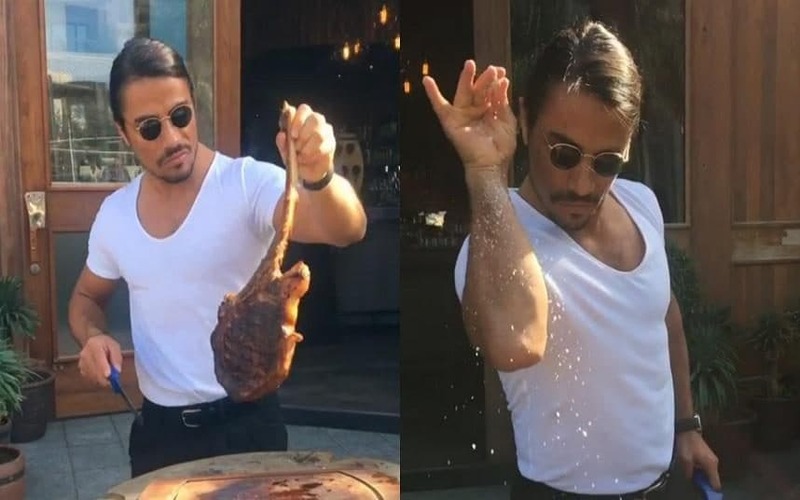 From the hilarious chef Nusref Gokce’s finishing pose (making him Salt Bae) to the awkward Olinda- Stunner drama playing out on social media, to Bev,rants about Andy Muridzo. 2017 is keeping us either going LOL all the time, or using the cringe emoji a little much. Laughs aside, have we mastered the power of social media as Zimbabweans, or is it overpowering us? 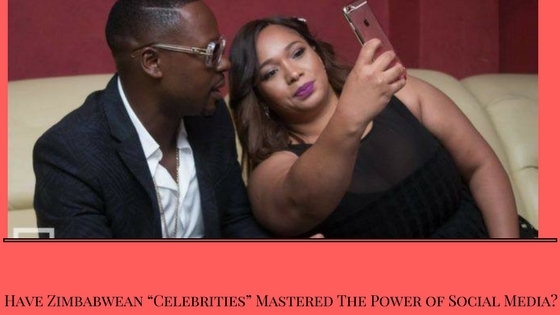 Let’s try to answer that by briefly looking at our Zimbabwean “celebrities.” By making their marital drama public thanks to Olinda posting an emotional rant on Facebook a month ago, did that give Stunner a refreshed relevance in the social scene? Now that we are aware of the existence of a beautiful yellowbone called Olinda, would we buy into her brand some time in the future (say she uses her newly gained popularity to have a shoe line)? Or are we hash tagging them individually as #ZankaLeli? I took it to the streets and ten out of the ten people I asked unanimously agreed that they are so over that stale bread. The way our young “celebrities” often conduct themselves makes it difficult for us to celebrate them. Airing out their dirty laundry to us, only paints the whole arts industry as a sector of immoral, irrational and unprofessional individuals. This, already in the face of skepticism when it comes to the arts, hampers development within the arts. Furthermore, the abuse of social media by the likes of the Bevs to pull down and expose their ex lovers and the whole mess, only reinforces the perceived notions that women within the arts do not have the grace and eloquence to voice their views intelligently. What more, the examples these “celebrities” are setting for the young and impressionable youth is that it is okay to say anything and give too much information on social media without suffering the consequences. According to Bulawayo psychologist Mr. M Luphahla, the consequences of over exposing one’s life on social media are detrimental to the image. You open yourself up to public opinion, insult and disdain. This can lower your self esteem as you’ve made yourself vulnerable to cyber bullying. Also, emotional rants make you lose your professional credibility. So, how about we stop catching and getting into our feelings on social media? Lets harness the gift that is social media to give a platform for thoughtful conversation, that can impact positive change; or let’s promote our businesses without being petty about our lives, because nobody really cares. If we cant do that, lets just enjoy the memes. You know what? Depending on how it is used, social media can be a blessing or a curse that will stay with you for life. Have Zimbabwean "Celebrities" Mastered The Power of Social Media?